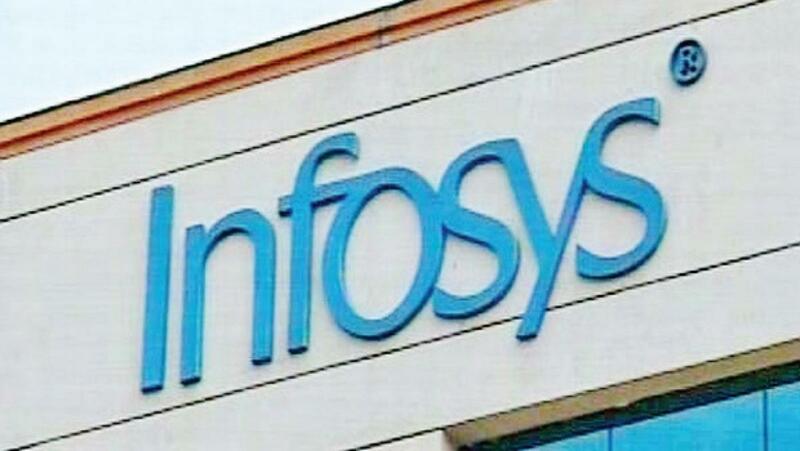 Infosys(INFY.NS), India\'s second-largest software services exporter, trimmed its full-year dollar revenue forecast to account for a stronger U.S. dollar against the rupee, sending its shares down sharply lower from a record high. Infosys(INFY.NS), India's second-largest software services exporter, trimmed its full-year dollar revenue forecast to account for a stronger U.S. dollar against the rupee, sending its shares down sharply lower from a record high. Infosys issued the revised forecast along with its second-quarter results on Monday, the first set of numbers released in India's $150 billion software services sector. The revenue outlook was unchanged on a constant currency basis, it said, arguing the revision was simply to reflect the impact of a stronger dollar. In August, the rupee touched its weakest level against the dollar since 2013. But the change stoked worries about the impact of currency movements on rivals' earnings and sent Infosys shares down as much as 5 percent, overshadowing a better-than-expected second-quarter profit. IT services companies such as Infosys, whose clients include Apple Inc (AAPL.O) and Wal-mart Stores Inc (WMT.N), make the lion's share of their money servicing clients in the United States. This means dollar revenues are a critical indicator for investors and the broader market. Infosys forecast on Monday revenues would increase by 6.4 to 8.4 percent for the full year to March, in dollar terms. It had earlier forecast 7.2 to 9.2 percent growth. "Dollar strength during last quarter has actually impacted revenue guidance," Aneesh Srivastava, ‎chief investment officer at IDBI Federal Life Insurance Co, said of Infosys's forecast. Chief Executive Vishal Sikka, seeking to brush aside the market impact of the lower target, said Infosys was still "working to beat" unchanged constant currency guidance of 10 to 12 percent revenue growth. "We are not cutting (the) forecast, I want to say that unequivocally," he told reporters. Infosys, long a bellwether of India's IT services industry, has in more recent years struggled to innovate and retain market share as it was pressured by staff departures. Under Sikka, brought in about a year ago to chart a new strategy, Infosys has made bets on automation and other high-margin services to regain ground lost to rivals including leader Tata Consultancy Services (TCS.NS). In response, Infosys shares have surged by a quarter since mid-July. The shares hit a record high on Monday morning, before reversing course and ending down 3.8 percent. Infosys also announced the departure of its chief financial officer, Rajiv Bansal. He will be replaced by M.D. Ranganath, currently head of strategic operations. The company clocked a second-quarter net profit of 33.98 billion rupees ($525 million), compared with 30.96 billion a year ago. Analysts had expected a net profit of 32.89 billion rupees, according to Thomson Reuters data.